Poor body language habits can upend your whole image — here are some major mistakes to avoid. • Body language is a major part of how we communicate. • It’s important to cultivate positive body language habits and avoid other behaviors that diminish how you appear to others. • Slouching, shuffling, and aggressive eye contact are all body language habits that are best to drop. It’s a cliché, but it’s true. Body language is a crucial part of communicating. The way you act can warp the entire meaning of what you’re saying. That being said, bad body language habits are the often hardest habits to break. We become so accustomed to slouching, averting our eyes, or folding our arms that we barely even notice what we’re doing. Here are several body language mistakes that are going to be tough to ditch. Still, if you’re able to quit them, you’ll definitely thank yourself later. If you’ve gotten into the habit of fidgeting, it can be difficult to snap out of it. But it’s important to take steps to reigning in this nervous habit. Fidgeting demonstrates nervousness and a lack of power, as body-language expert and “The Power of Body Language” author Tonya Reiman previously told Business Insider. Many people naturally cross their arms or hunch over a bit just because they don’t know what to do with their hands. As The Washington Post reported, behavioral consultant Vanessa Van Edwards notes that using hand gestures while speaking is actually an effective way to engage your audience. The trick is, avoiding the hand gestures that will trip you up. Don’t point, don’t pretend to conduct an imaginary orchestra (seriously), and don’t get too choreographed. It can be hard to change up your walk once you’ve fallen into bad habits, but it’s important to walk with confidence and coordination. Don’t shuffle through life. There’s nothing more irritating than talking to someone who’s clearly not paying attention to you. Some people are just naturally distracted or busy, so it can be tempting to check your phone or watch at every available moment. Still, you’ve got to keep this impulse in check when you’re around others. Otherwise, you’ll just come across as a rude and uncaring person. Stand up straight. Terrible posture is easy to develop, especially if you’re slouched over a desk for the majority of the day. 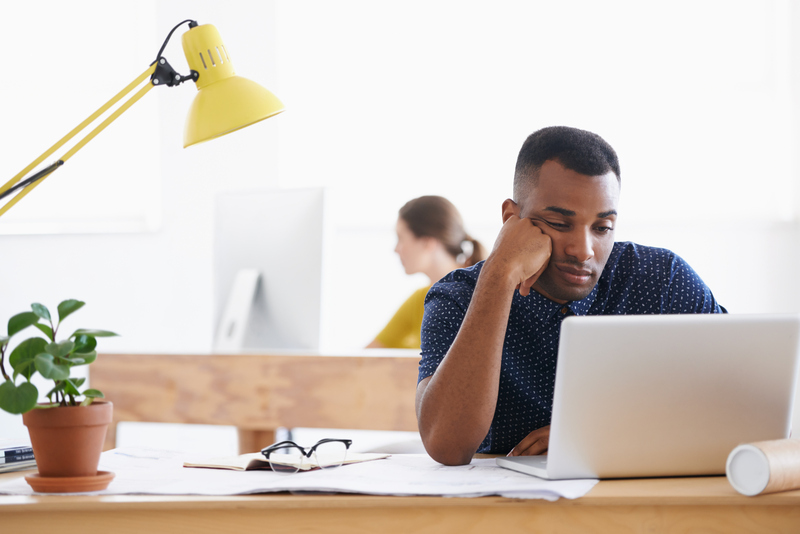 Slouching doesn’t just make you look un-confident, writes Catherine New for Psychology Today, it’s also bad for your back. Improve your health and the image you present to the world by standing up straight. Here’s another body language pitfall where moderation is key. Overly long stares can make whoever you’re talking to pretty uncomfortable. On the other hand, averting your eyes indicates disgust or a lack of confidence. It’s definitely good not to be jumping all over the place, constantly. However, you don’t want to be too eerily calm during conversations. This may make people feel uneasy, or that you’re not interested in what they’re saying. Instead, try to mirror the person you’re speaking with. Don’t mimic them — they’ll probably get offended by that — but subtly copy some of their gestures and expressions. It can be tough to break out of your poker face, especially if you’re just naturally not that expressive — but it’s worth trying, since it can improve how you’re perceived. You might be saying all the right things — but if your body language doesn’t match up with your words, you might end up rubbing people the wrong way.